Bigfoot, also known as Sasquatch, is an ape-like cryptid of which there have been many reported sightings in the United States and Canada, although their existence has been disputed. Bigfoot, which has long been part of American folklore, is described as being similar in stature to a man but larger and covered in hair. They are usually said to be somewhere between 6ft and 10ft tall, with their hair ranging in tone from black to dark red and brown. In many descriptions they are said to have a low and prominent forehead. In several apparent sightings in the past, including the most famous by they are also similar in appearance to a male gorilla, or to several different types of cavemen from millions of years ago. They are also said to have a pungent and somewhat unpleasant smell. Like humans, they are said to be omnivores although they are said to be active mainly at night. There have been a significant number of reported sightings over the years, including of what people have believed to be bigfoot themselves, and also of apparent footprints — some measuring as long as 25in, around double the length of a US size 15 shoe. 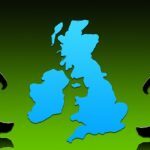 As of July 2017, the state with the largest number of credible sightings (according to the Bigfoot Field Researchers Organization) was Washington with 629, while the province with the most sightings in Canada was British Columbia with 130. 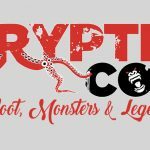 But while many groups believe in the cryptid’s existence, critics say that these sightings have been either hoaxes or people misidentifying other animal, usually bears. Stories of bigfoot-type beasts — often referred to as “wild man” or “hairy man” — have long been part of the folk history of indigenous cultures in the Pacific Northwest. The name Sasquatch is a modern Anglicised version of sásq’ets — a word used by various First Nations people in British Columbia, Canada. Most recent sightings have also been in the pacific northwest, however there have been thousands over the years including many in other parts of North America. 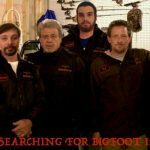 There are several organizations dedicated to looking for an researching bigfoot, with the most famous and largest being the Bigfoot Field Researchers Organization, who have a comprehensive database of bigfoot sightings and reports. The search for bigfoot has also been the subject of several television series including Animal Planet’s Finding Bigfoot and Destination America’s Mountain Monsters. Bigfoot/Sasquatch is similar but different to other creatures reported across North America and the rest of the world including the Yeti, Skunk Ape, Orang Pendek, Barmanou, Mande Barung, Yowie, and Yeren. 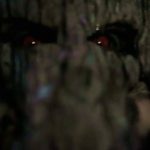 Most sightings of Bigfoot/Sasquatch have been reported in the Pacific Northwest, although there have also been sightings in other areas of the United States and Canada. A creature later named “Jacko” was reported by Canadian newspaper the Daily Colonist to have been captured near Yale, British Columbia, in 1884. Jacko was originally said to have been a gorilla, but others later claimed the incident as possible proof of the existence of Bigfoot. This is probably the most famous Bigfoot sighting in history. Shot in 1967 in Northern California it shows what was said to be a Bigfoot walking away from the camera towards a forested area. The footage has an authentic feel as the men try to steady the camera and move closer towards the subject. They manage to then get some stable footage of the black figure as it turns its head to look at them. Critics claim the “Bigfoot” is a man in a gorilla suit. Youth group leader Jim Mills captured nearly seven minutes of footage of what was believed by some to be a Bigfoot. The video from June 2001 began with the camera capturing Mill’s youth group as they took part in a backpacking trip in the Marble Mountains, before he caught sight of a figure silhouetted against the sky on a nearby ridge. It is believed to be the longest ever video recorded of a purported Bigfoot. One of the clearest ever videos of an alleged Bigfoot sighting, this film believed to have been taken on Independence Day 2010 in an unknown location and by an unknown cameraman shows what is claimed to be an adult Bigfoot holding one of its offspring. This alleged sighting in October 2012 saw a group of siblings film what they believed to be a Bigfoot in Utah’s Provo Canyon. They initially thought it was a bear, with the footage showing it behind trees that have lost their leaves in the fall. The footage ends when the figure stands up on two legs, with the scared siblings running away in fear. 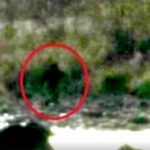 Separate footage filmed by a hiker near Provo Canyon in the Utah Hills in December 2012 shows a large dark creature in the woods which started throwing stones at him as he got closer. This is one of the most famous set of photos of an alleged Bigfoot. Captured in 2007 by hunter Rick Jacobs, it was taken in Pennsylvania’s Allegheny National Forest using a camera with an automatic trigger that was attached to a tree, meant for capturing deer. He also captured a picture of two bear cubs. The Pennsylvania Game Commission said they believed the larger animal was a bear with mange, but the Bigfoot Research Organization said they believed it was a juvenile Sasquatch. A giant footprint measuring 17.75in long was photographed in Johnstown, Pennsylvania, in 1980. There had also been reports of a strange smell and various noises in the area before the footprint was spotted near a private home. An alleged Bigfoot family was captured in footage shot by former US Forest patrolman Paul Freeman in Washington’s Blue Mountains in 1994. 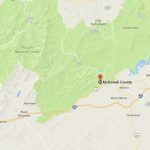 October 2017 and a local farmer reports a whole family of Bigfoot running about his ranch at night. The leader has a pig over its shoulder but as they run off it trips and the pig escapes. 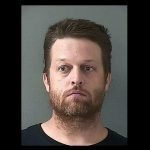 The story was picked up by the local Fox affiliate channel, who interviewed the farmer and a local Bigfoot expert. 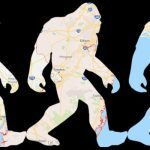 Julian Cheatle updated Bigfoot on 17 Jul , 2017.